I promised last week when I posted about my postcards book that I’d update you on everything else that has kept me working pretty much non-stop for the last 6 months. 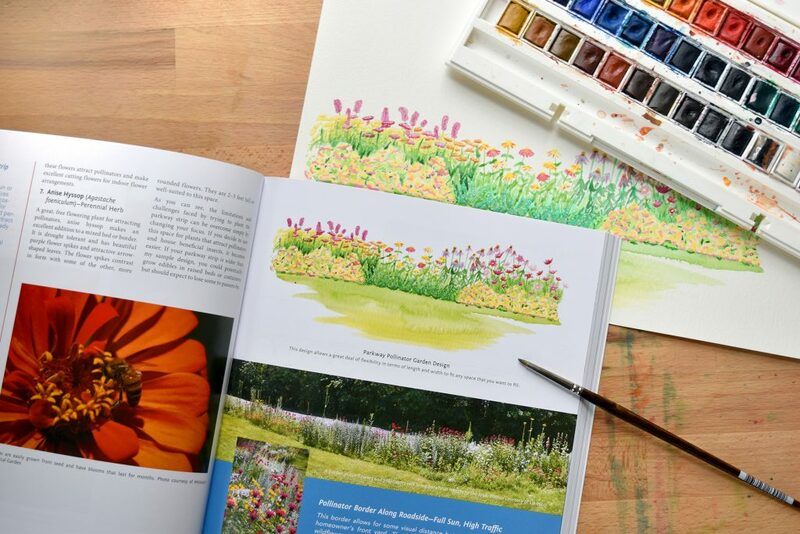 And I’m super-pleased to share my first non-coloring book illustration project with you – I did the watercolor illustrations for Gardening Like a Ninja: A Guide to Sneaking Delicious Edibles into Your Landscape ! This was such a fun project for me for personal reasons as well. Last spring I became a certified master gardener through my local extension office, and wrapped up the class just one week before Coloring Flower Mandalas graced the front page of the Huffington Post. Suddenly my plans for a leisurely summer in my garden got put on the backburner as I instead spent the next 6 months in my cramped-but-cute office drawing Dreams and Oceans. My garden only grew weeds last year, so illustrating this book was the closest I got to doing any gardening in 2015!!! By the way, if you love getting your hands dirty like me, Angela is offering an Gardening Like a Nina Edible Landscaping eCourse companion class to the book, with a significant discount on the cover price. Coloring Flower Mandala POSTCARDS are Coming Soon! The Masters of Fashion Illustration Adult Coloring Book - A Look Inside Preview! I haven’t visited your website in a while, and i now know better than to stay away so long. Congratulations on this project. From what I can see, it is beautifully done. I’m adding this book to my wish list.